PIERRE, S.D. – A lot of confusion still remains regarding the legality of CBD (Cannabidiol) oil and industrial hemp in South Dakota, according to the state Attorney General. On Monday, AG Jason Ravnsborg issued a statement clarifying the legality of hemp and CBD oil, which is derived from cannabis plants and generally used for medicinal purposes. Currently, says Ravnsborg, South Dakota law makes both industrial hemp and all forms of CBD oil illegal. The only exception is the prescription drug Epidiolex, a CBD medication used to treat epilepsy. Epidiolex was recognized by this year’s legislature as a controlled substance under SB 22. Governor Noem signed the bill into law in February, with an emergency clause — therefore causing it to go into effect immediately. 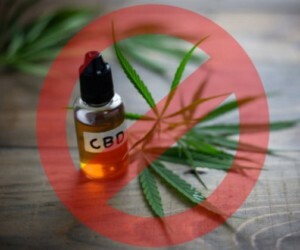 This action leaves any other use or possession of CBD oil as a violation of state law.